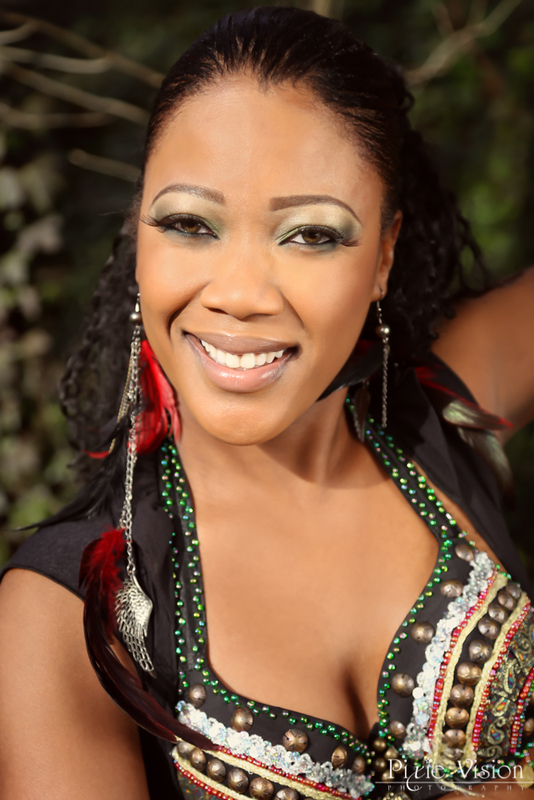 Faaridah (Farah Taylor) is the owner of Atlanta Fusion Belly Dance and Executive Producer of the annual Essence of Belly Dance festival in Atlanta. A lifelong dancer, Faaridah studied ballet, tap and jazz in her hometown of Brooklyn, NY in addition to a variety of Caribbean and Latin dance styles. She was later exposed to Middle Eastern Dance and Indian Dance and has been studying and performing a variety of dance styles for over 15 years under the direction of some of the most notable instructors. She is a student of the Salimpour School of Belly Dance. Faaridah maintains a Level 2 certification in both the Suhaila Salimpour and Jamila Salimpour Belly Dance formats, and aggressively working towards her Level 3 certification. She successfully completed The Fat Chance Belly Dance® American Tribal Style® (ATS®) General Skills and Teacher Training 1 & 2. She is a licensed BollyX (Bollywood Fitness) and Zumba instructor. She is a member of the world renowned dance troupe Bal Anat, directed by Suhaila Salimpour. She is also a member of 2 premier dance troupes in Atlanta, Rafi’ah Dance Company and The Georgia Salimpour Collective who perform throughout the Southeast.